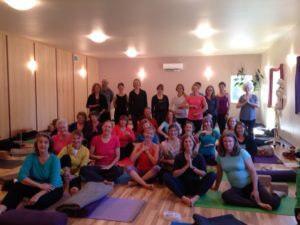 Join Shelly Prosko, physiotherapist and yoga therapist, for this two day pelvic floor and respiratory health yoga course that offers a combination of empowering, educational and valuable theory and practice. The intention of this course is to offer a theoretical and experiential integration of accessible and practical yoga methods and philosophy with evidence informed practices to enhance overall pelvic floor (PF) and respiratory health and wellness. For both men and women, our PF plays a role in many aspects of our existence that contribute to a healthy life, including breathing, bowel and bladder function, sexual function, hip and spinal health, core strategies, and more. We will outline evidence surrounding biopsychosocial factors that influence PF function and explore why and how yoga can serve as a valuable adjunct to pelvic wellness. We will explore pelvic and respiratory diaphragm mechanics, relevant anatomy, physiology and the intimate relationship between breath and pelvic floor. Be prepared to participate and enjoy inspiring gentle yoga practices implementing a variety of techniques that you can immediately use with your patients or students, including PF awareness practices, visualization, mindfulness meditation practices, breathing practices and mindful movement to help promote PF relaxation, engagement and excursion. Examples of language and philosophy used to potentially enhance more effective cueing, within scope of practice, will be included. Whether you are a PF physiotherapist looking to expand your current approach or a new practitioner wanting to learn more about the PF, this course is meant to help support you on your path to learning more about how yoga can address PF and respiratory health in an evidence informed manner. Rehab Professionals (PT, PTA, OT, OTA, AT,ET, Kin, etc), movement specialists, yoga teachers, yoga therapists, and those interested in learning more about yoga and PF health and wellness. briefly overview the anatomy and biomechanics of the pelvic and respiratory diaphragms and their intimate relationship. learn the roles the pelvic diaphragm plays in overall health and wellness and why gaining skills in addressing pelvic floor (PF) health can be important and valuable for any movement practitioner or yoga professional working with clients. learn the factors that can contribute to performance and function of the PF using the pancha maya kosha model or biopsychosocial-spiritual approach. review the first 2 chakras (using a framework based on one modern translation of chakras) and discuss the role they may play in pelvic health. list the 4 categories of PF health dysfunctions. Define inefficient breath patterns and the evidence based term: breathing pattern disorders (BPDs). 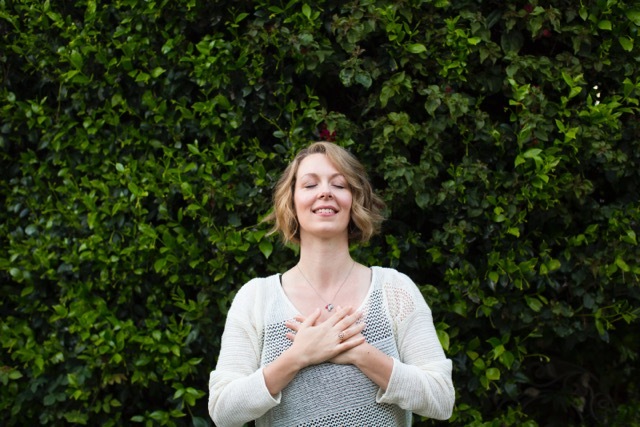 Discuss 3 common inefficient breathing patterns, and learn how and why they can contribute to physical, mental, energetic and emotional imbalance. discuss the debate surrounding the performance and cueing of kegel exercises for PF health using a best evidence approach. discuss Mula Bandha (MB) including a healthy debate surrounding potential intention of MB from a historical perspective and evidence-informed approach of healthy PF behaviour. list 8 limbed path of Raja yoga and how the components of the paths can contribute to a biopsychosocial-spiritual approach to PF and respiratory health. Understand scope of practice as it relates to yoga professionals or practitioners who do not perform internal pelvic floor exams or treatment and when to refer to a physiotherapist who specializes in PF health. learn and experience breathing methods and mindfulness practices as they relate to PF health through awareness and relaxation of PF. discover and practice facilitating pelvic diaphragmatic excursion by integrating yoga practices including breathing, visualization, awareness, mindfulness meditation, postures and mindful movement. learn and experience practices that include components of the core strategy system that have been shown to influence pelvic floor muscle engagement and function, including hip and lumbo-pelvic strategies, through the use of a functional integrative approach which includes mindful movement, awareness and breathing practices. experience the respiratory and pelvic diaphragms working together through breath and movement, and if time permits, experience how the voice is connected. participate in practices to enhance foot awareness and its potential connection to the pelvic floor. Yoga Therapy: An integrative biopsychosocial approach to enhance physiotherapy practice. Yoga Therapy (YT) is an emerging integrative health practice that provides a framework for treating patients from a biopsychosocial (BPS) perspective. An ever growing body of research supports its effectiveness and clinical applicability for a variety of patients and conditions. Physical therapists can potentially improve patient outcomes of pain, function and quality of life through gaining an enhanced understanding of yoga and therapeutic yoga techniques. This knowledge will also support appropriate and safe referrals from PT to community-based yoga programs. explain evidence basis for yoga therapy, and describe key examples of how yoga therapy is integrated into clinical PT practice. evaluate the effective integration of yoga practices and theory within the biomechanical and biopsychosocial paradigms of PT practices. describe how a therapeutic yoga framework of assessment and treatment can be integrated into physiotherapy practice. This 75 minute presentation will explain yoga therapy (YT) and outline its scientifically supported therapeutic effects. Examples will be presented on how YT is used in clinical PT practice as a BPS assessment and treatment approach. Specific focus will be given to YT techniques appropriate for MSK, persistent pain conditions and pelvic floor health. This session includes both experiential learning of yoga techniques and interactive lecture. Clinical scenarios will be discussed, demonstrating the positive effects of integrating yoga techniques with PT clinical practice. All physiotherapists, physiotherapist assistants (PTAs) and physical rehabilitation therapists (PRTs) will benefit knowing of this growing therapeutic field and how to integrate some of its principles and practices into their work. Those who discharge patients to community movement programs require understanding of the therapeutic aspects and potential hazards of yoga practices. 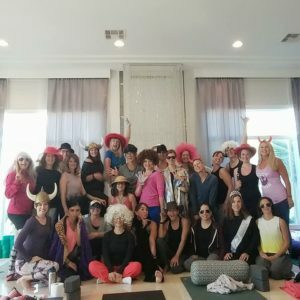 Join Shelly at the School of Embodied Yoga Therapy as she offers this 3 day yoga therapy course for yoga therapists and healthcare providers interested in integrating yoga practices and philosophy to help people living with pelvic floor dysfunctions and/or to help enhance pelvic floor rehabilitation and wellness care. In this article, I explain specifically what ‘is’ pelvic health and the pelvic floor, the many roles of the pelvic floor, the numerous factors that influence the healthy functioning of the pelvic floor muscles, and the role that yoga therapists may have in working with people with pelvic floor dysfunctions, with examples of some techniques they may use. I also discuss what some of the research is saying about yoga and certain pelvic health conditions. There are 27 citations included in this evidence-informed article. Please also review the 4 min trailer of the videos, “Creating Pelvic Floor Health with PhysioYoga” that I created for you to download that include many of the techniques discussed in the article!